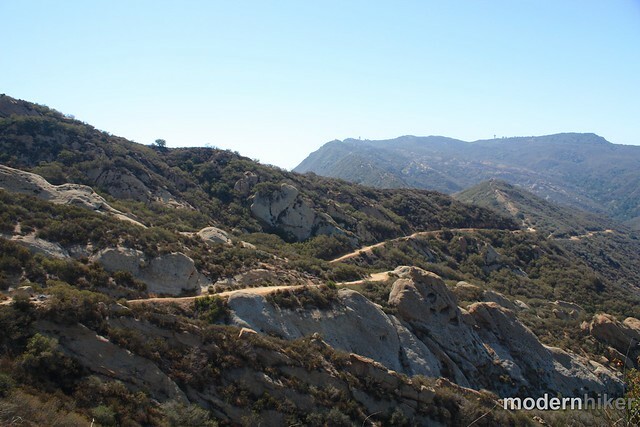 This moderately graded fire road ascent just outside Topanga Village provides some amazing views of the interior of the Santa Monica Mountains – especially if you get to see the marine layer flowing over the peaks closest to the coast. This dog-friendly hike has enough of an incline to get your legs working but isn’t tough enough to scare off new hikers. There’s a lot of geology on display here – and opportunities to extend the hike if you feel like spending more time outside. 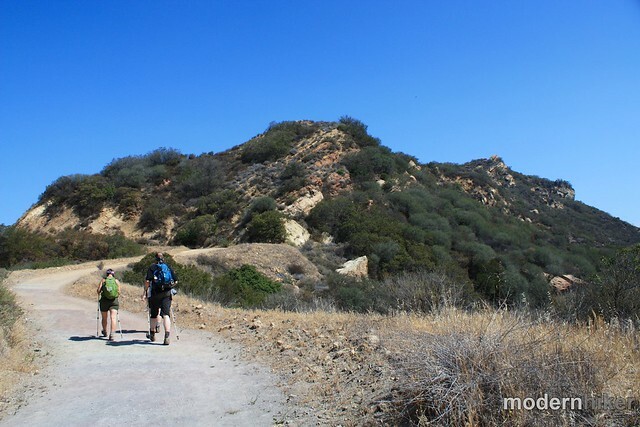 If you’re looking for hiking near Topanga, odds are you’re going to end up in Topanga State Park. And while there are some incredible hikes there, they can often get on the crowded side. 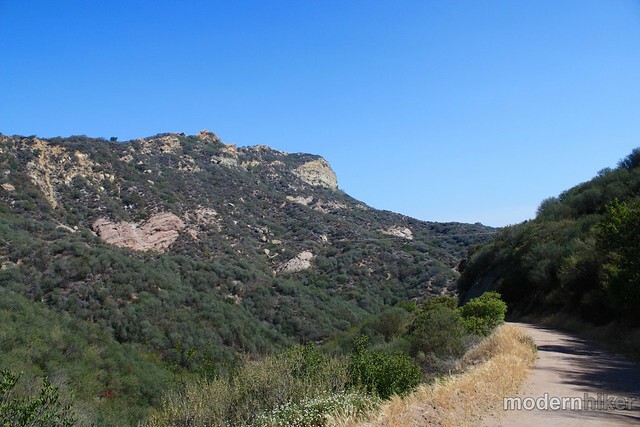 With that in mind, some friends and I headed to Red Rock Canyon Park off Old Topanga Canyon Road (NOT to be confused with Red Rock Canyon STATE Park, which may come up in Google searches but is much further away. Heading down Red Rock Road is a pretty amazing L.A. experience – some of the houses along the road are clearly old hippie communies from the 60s, while others are more recent treehouse-mansions built by the super-rich. As you drive down the winding, narrow road (and especially after it turns into a dirt road), you can be forgiven for thinking you’re somewhere that is definitely NOT Los Angeles. There’s a gate at the end of the road with a small parking area, some outhouses, and an iron ranger. If the lot is full, you’ll have to wait for someone to come back to their car or backtrack a bit to a small spillover lot back down Red Rock Road. When we arrived on a Saturday morning, there weren’t that many people around – but on our way out a few people had decided to spend their birthdays picnicking there and parking was in much shorter supply. 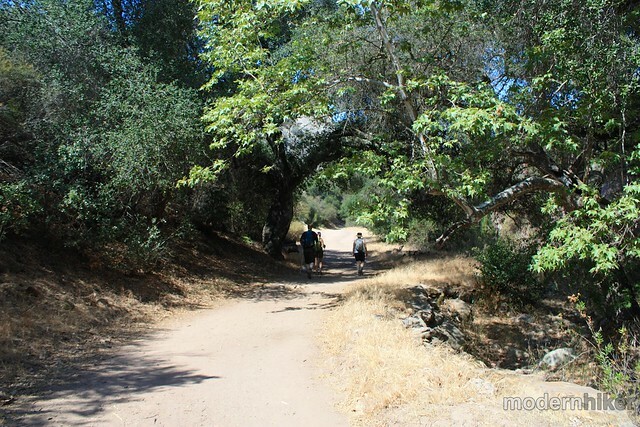 When you’re ready to hit the trail, walk past the gate and start up the fire road under the shade of some large and beautiful oak trees. The first half-mile of the trail is relatively flat and shaded, so you’ll have plenty of time to soak in the scenery. About 0.2 miles into the hike, you’ll see a very short spur trail on the left hand side of the fire road. 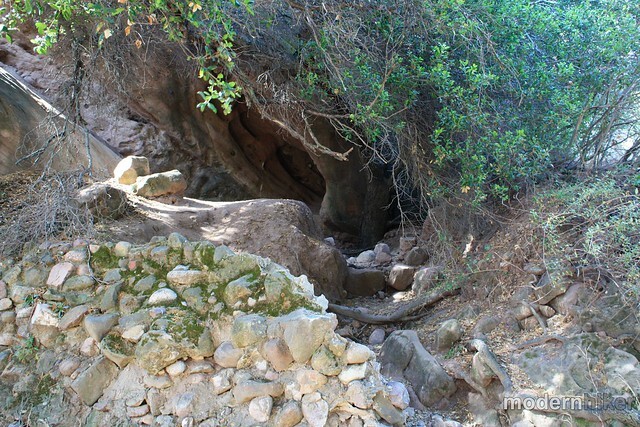 This leads to some interesting cave formations and fun scrambling rocks if you’re in the mood to get your hands dirty. If you’re more peak-focused when you start hiking, you can also save this area for exploration on the way back to the trailhead – you may appreciate the shade more then. 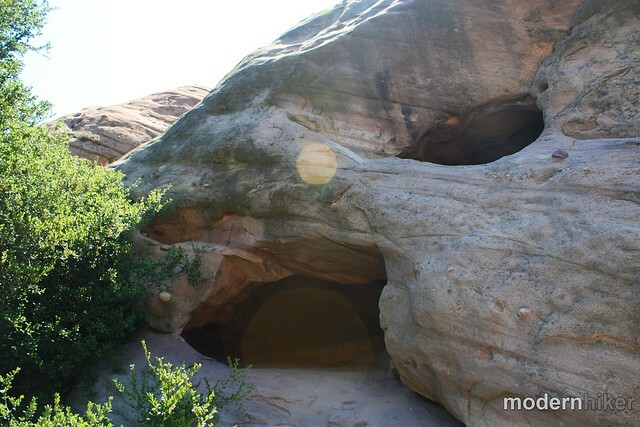 At 0.4 miles, you’ll cross a junction with the Red Rock Trail, a short route that takes you up closer to more of the tinted rock formations that give the park its name. 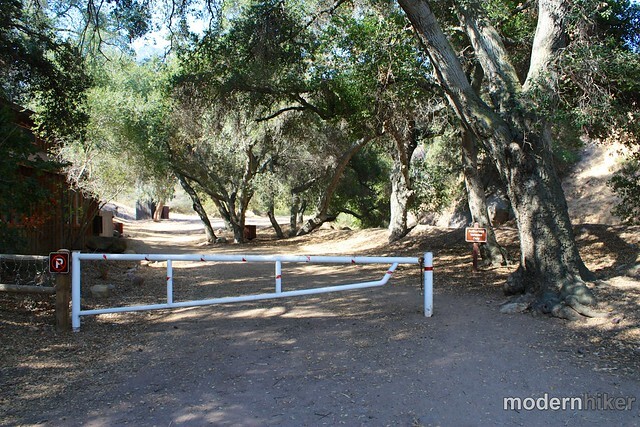 If you stay on the fire road headed toward Calabasas Peak, you’ll pass a picnic area and more beautiful scenery as the road meanders around a bend. After you pass the half-mile mark, the road starts to pick up some noticeable elevation gain – but that’s less an effect of the gain itself and more an effect of you having it relatively easy for the past half-mile. 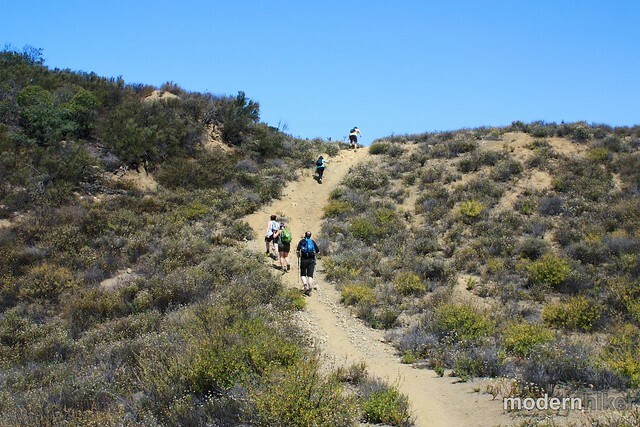 At the junction, turn right to continue on the fire road toward Calabasas Peak. Here, the road takes an even steeper incline – and you’ll gain 462 feet over the next 0.7 miles. 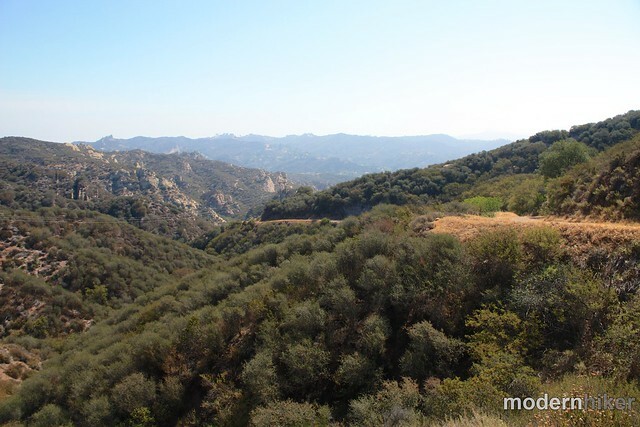 The road’s various loops and sharp turns may not give you the most direct route to the summit of Calabasas Peak, but it definitely gives you some excellent vantage points of the mountains and valleys below. At about the 2.08 mile mark, you’ll reach a prominent peak overlooking the valley and much of the fire road you just traversed. 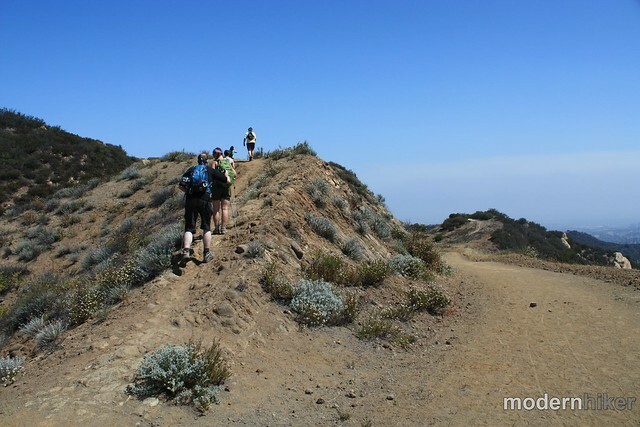 This is not Calabasas Peak – although it’s very, very close. Continue on the fire road and keep your eyes peeled for this faint use-trail leaving a ridge on the western side of the road. 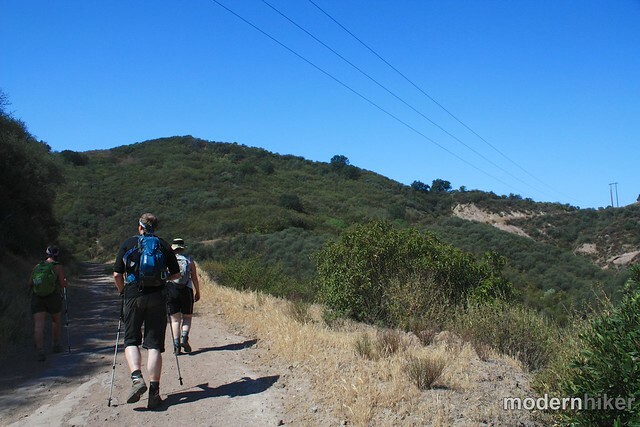 This is your trail to Calabasas Peak. 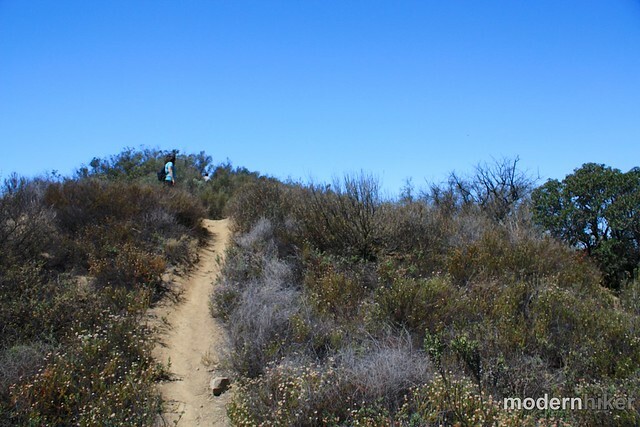 This short fire-break climbs up two steep slopes before making a bee-line for the summit of Calabasas Peak – which is marked with a USGS marker and a summit register, too. Soak in the views, then return back the way you came. Excellent. The trails and fire roads are very well maintained. 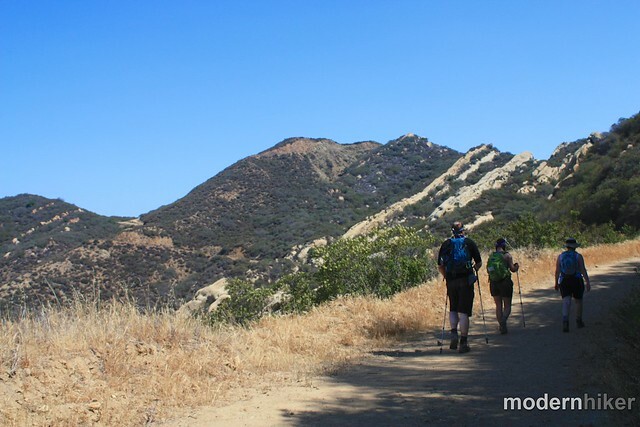 The use-trail to Calabasas Peak might be easy to pass by, but if you keep your eye out for it you shouldn't have a problem. From the 101, exit on Topanga Canyon Boulevard heading south. In 1.4 miles, turn right onto Mullholland Drive and in another 0.5 miles, take the third left onto Mullholland Highway (that part can get a little confusing, so go slowly). 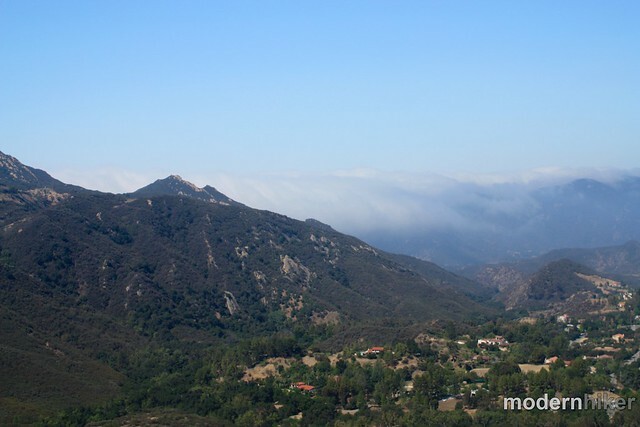 From there, continue 1.7 miles and take a left onto Old Topanga Canyon Road. 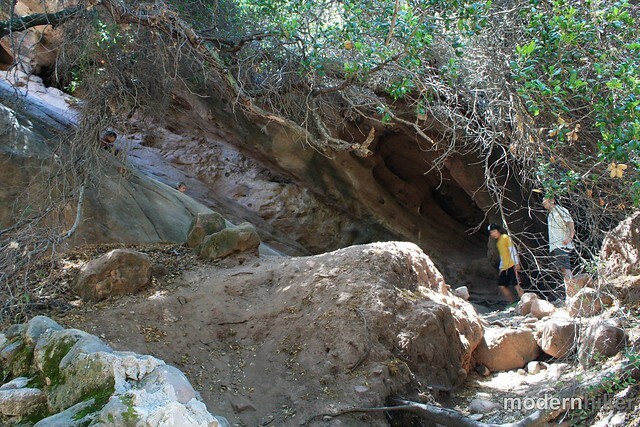 Stay on Old Topanga for 3.8 miles and take a right onto Red Rock Road. Self-issued fee required ($5 at time of writing). Jennifer, you should be good to go. Not much has changed in this region lately so the trail should be very close to the way it's described here. I will be trying this hike for the first time in a few weeks..thank you for all the updates, pictures and advice. Any updates for 2015 you can provide would be helpful. I grew up hiking but still love it. We have three children (a 5 year old, a nearly 3 year old and an almost 12 months old). I completely accept your tips. I live in exactly the same area as I grew up and so i know many of the hikes around here very well. Thanks for sharing your trail pictures! You have really inspired me to include more and larger pictures in my own hiking blog! Working on my next trail write up…I have over 100 pictures to choose from. None are as terrific as yours…we’ll see how it goes!